Nobody is immune from being arrested for DUI in Arizona. San Francisco Giants outfielder Cameron Maybin is learning that right now. He was recently arrested for DUI in Scottsdale, Arizona. Maybin, 31, was pulled over by police in the early morning hours of March 1, after police observed him driving approximately 60 mph in a 40-mph zone. Police say they observed the vehicle swerving as well. During the stop, police say they observed signs of impairment, including bloodshot and watery eyes as well as an odor of alcohol. Maybin told police that he was at an area restaurant where he admitted to having five “pretty big” glasses of wine. He said he was on his way to a hotel to meet with his agent. After failing multiple Field Sobriety Tests, he was arrested. Police say that his blood-alcohol level was .142 percent, just below the level of being an “extreme DUI” charge. Arizona takes DUIs very seriously. There is no doubt that alcohol-related accidents caused serious harm. For the latest reporting year, we can see that there were 4,854 alcohol-related crashes in Arizona. Out of those, there were 320 fatalities and over 3,000 injuries. Alcohol-related crashes were responsible for 32% of all traffic crash fatalities in 2017. According to the Arizona Governor’s Office of Highway Safety, there were 26,296 DUI arrests in 2017, a slight increase from the previous year. Examining whether or not an officer had probable cause for the traffic stop that led to the DUI arrest. An officer must suspect that a person has broken the law in order to pull you over. Looking at the calibration of a breathalyzer testing machine and calling into question its accuracy. There are standards that must be followed with all breathalyzer machines, including regular inspections of their accuracy. Examining how the Field Sobriety Tests were conducted and calling into question their effectiveness. This can be an effective defense for people with disabilities or underlying medical conditions that could affect FST results. Looking at your prior criminal history. If you have a clean criminal background, particularly when it comes to driving offenses, a skilled attorney will likely be able to get your charges reduced. 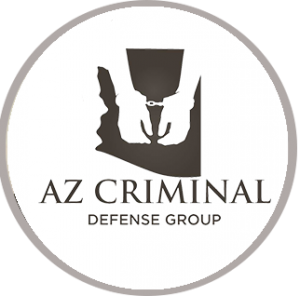 Click here for information on should I appeal my DUI conviction in Arizona? Can You Refuse to Speak to Police in Arizona after Being Stopped? Should I Appeal My DUI Conviction in Arizona?